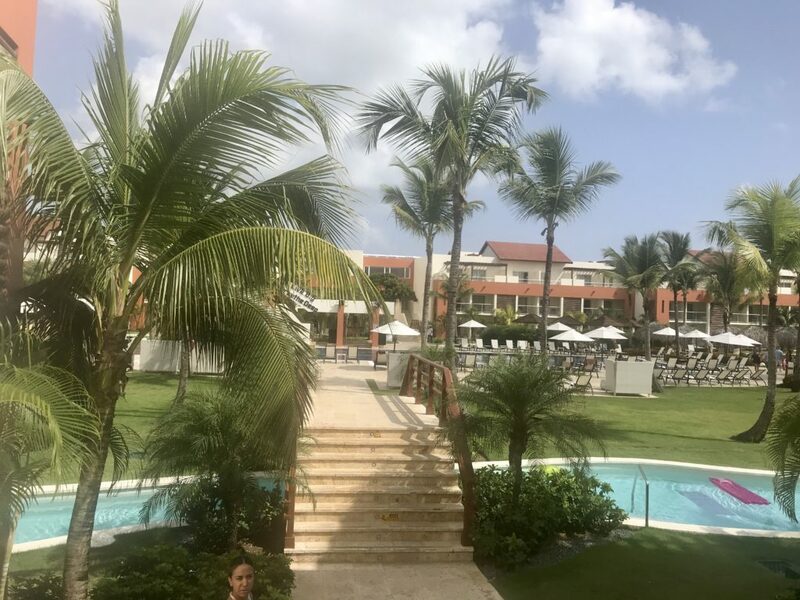 We made a quick 4 day trip to Punta Cana in the Dominican Republic this month. 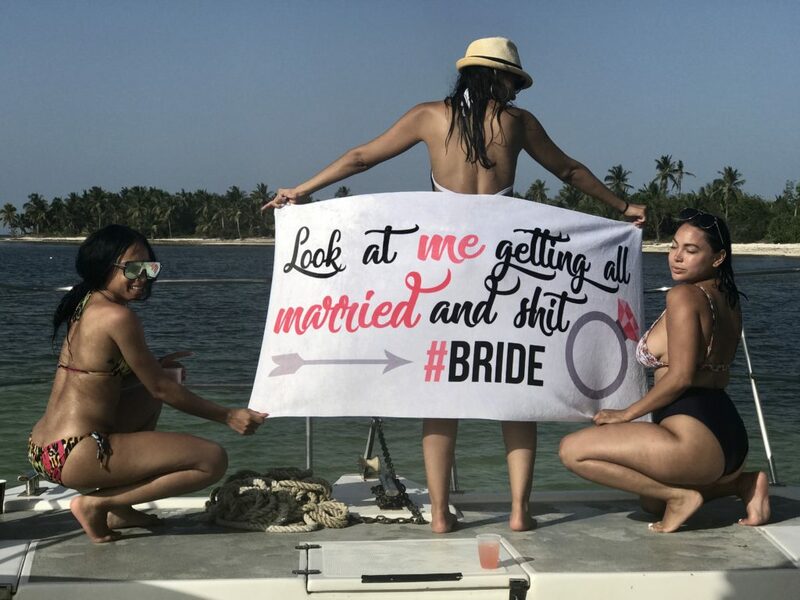 It was our second time visiting the Island but our first time visiting for a Bachelorette. Below we go over some tips and suggestions to help you on your next visit. Punta Cana does accept US dollars so it isn’t necessary to exchange money. If you are going to exchange money do not do it at the airports. You can either do it at a local exchange house once you arrive or if you have a card that doesn’t charge you a foreign transaction fee, you can withdraw money from an ATM Machine. To keep up with current exchange rates we recommend the XE Currency App. 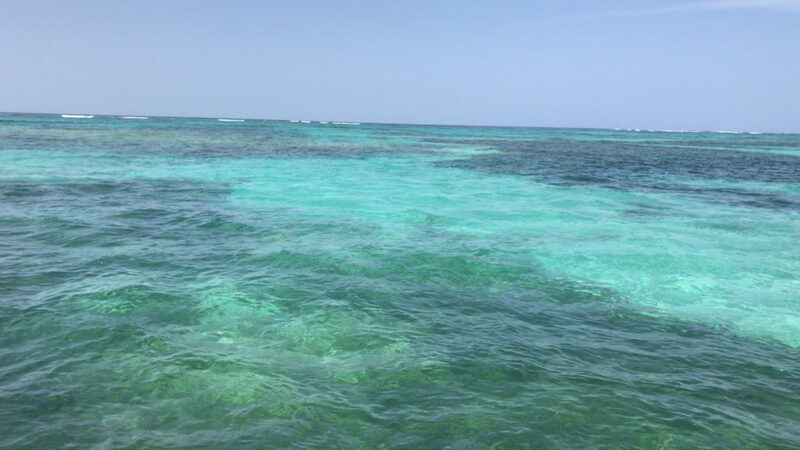 Tip: Seaweed in the sea can have a heavier presence depending the time of year you visit. The time of year varies due to the effects of Global Warming. This time of year when we visited there was a heavier presence that started around March and should lighten up around August. For our recent trip, we arranged for a limousine to pick us up at the airport in Punta Cana. The private transportation also included Champagne and soft drinks. If you are interested in doing the same you can contact Christian Reyes via WhatsApp: 1809-757-6254 let him know Suzzstravels referred you. 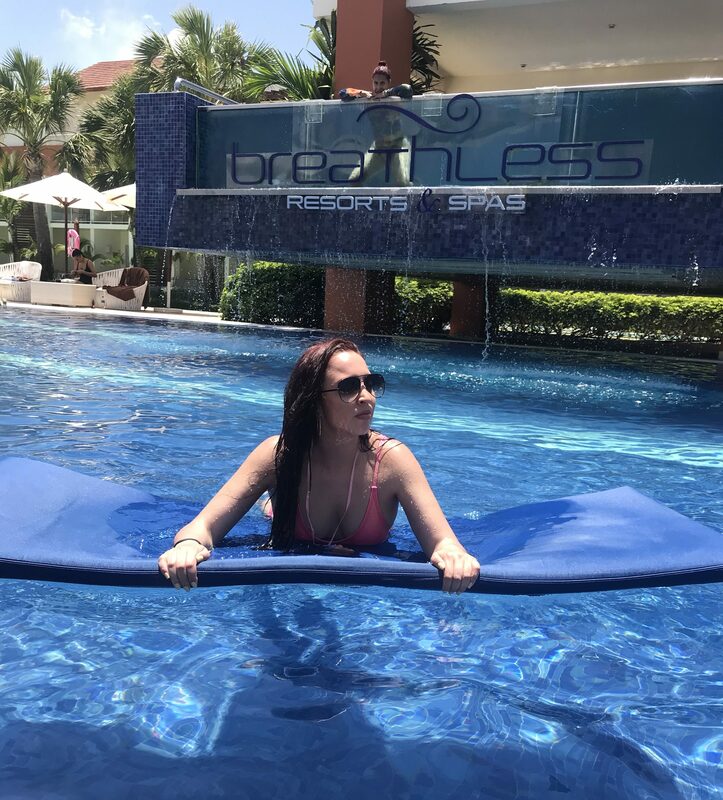 For this last trip we stayed at Breathless Punta Cana. This 5-star resort is known as a “party” hotel. 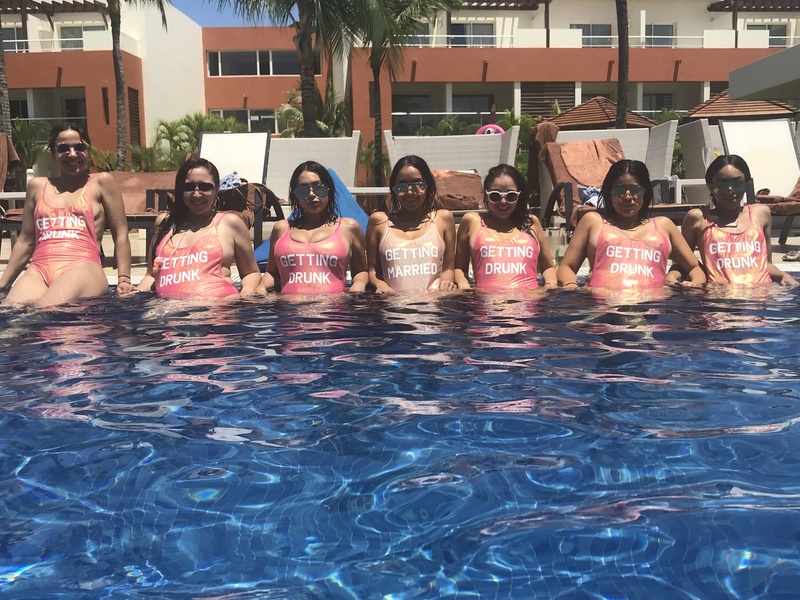 The guests that come here are usually seeking a good time, so we definitely recommend this property for Bachelor and Bachelorette parties. It is important to keep in mind though the property is approximately 30 minutes away from the clubs and lounges. The resort does have a club on site, which was fun for us because it’s how our group made it out to be but we also went out of the property on other nights. The staff at this resort is AMAZING and the drinks were not watered down. Their food options were also good, we definitely recommend this as an option. Another great option, which we feel caters to all types of groups and isn’t as far away is Melia Caribe Tropical. You can read a full review of the property HERE. -Day trip to the Natural Pool. 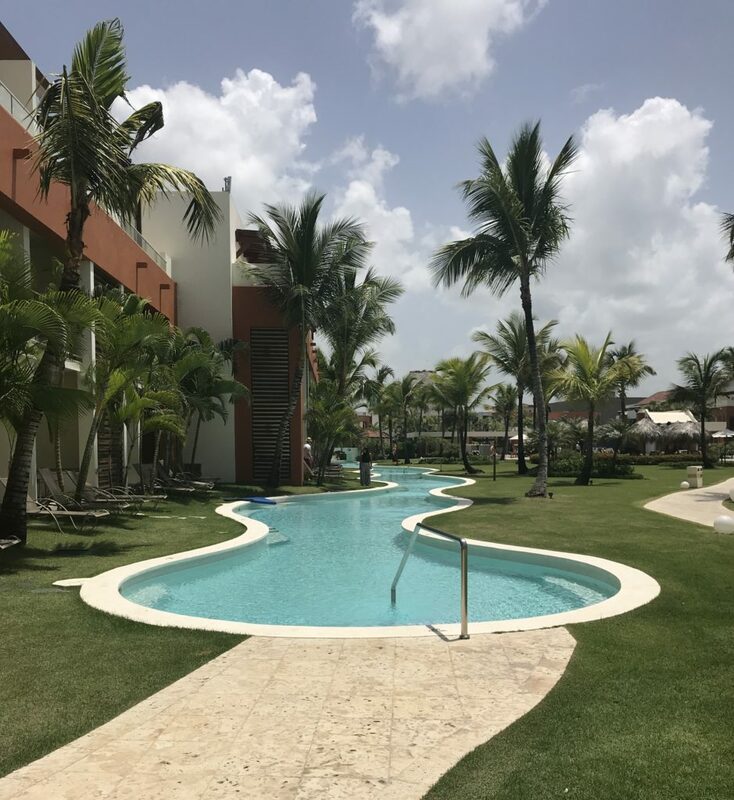 If you want to leave your resort and try some options around Punta Cana, we have a few suggestions for you below. We will continue to update the list based on what we experience. We hope our weekend guide to Punta Cana helps you plan your next visit to the Dominican Republic. Please don’t forget to tag us on Instagram if you visit! Hey I read your review I planned on going in November and staying at breathless hotel. I was wondering if you knew any websites I could use for inexpensive all inclusives or flights or both.